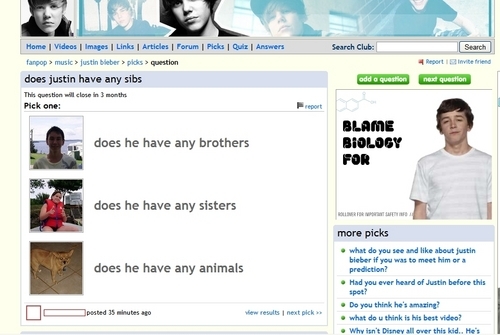 Bieber FAILS (Facedesk Warning!). Oh, sweet baby Jesus. *facedesk*. HD Wallpaper and background images in the fanpop FAIL! club tagged: facedesk facepalm facekeyboard facemouse you get the point? justin bieber. how is an animal a sibling? lol at te ad! Why are most J.B picks stupid? LMFAO the ad explains it all.